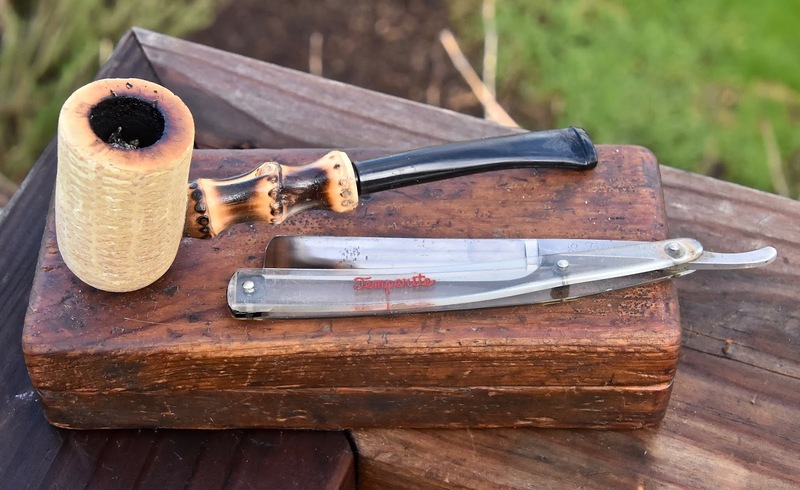 Enjoying the cool and sunlight by smoking some Spinnaker in a cob, while sharpening an old Case Temperite straight razor on an Arkansas stone and a strop. I'm feeling codgery. looks like he's been using that razor to ream the cob between smokes. Do you have 10 grand or more invested in razors, brushes, soaps, etc? Just curious. That one was 10 bucks on eBay. It's not that expensive, unlike golf.